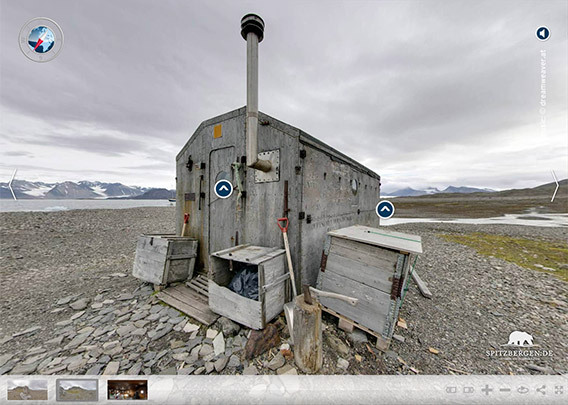 There is a slightly pecular hut in inner Kongsfjord, on the shore of Brøggerhalvøya, which is connected to a bit of polar science history of the former German Democratic Republic (GDR, East Germany). 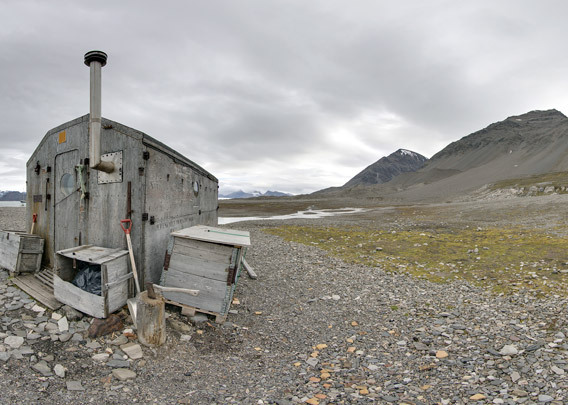 From the 1960s, GDR scientists were active both in Spitsbergen and the Antarctic, focussing on the latter in collaboration with Sovjet expeditions. 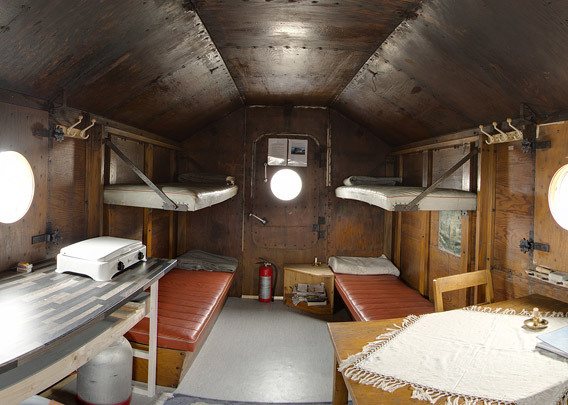 The first GDR expedition to Spitsbergen was a ship-based summer expedition in 1962. 13 scientists led by Wolfgang Pillewitzer were active in Hornsund and Kongsfjord. Deemed a success, it was considered necessary to expand the research interval to a full year to investigate glaciological subjects more fully. In 1964, an expedition of 4 scientists led by Dr. Lothar Stange from Potsdam left Stralsund on board the research vessel Meteor. The ship had to sail twice from Potsdam to Kongsfjord to transport all the equipment needed for the expedition. A wide research programme was realized during the summer of 1964 in Kongsfjord. The expedition left Spitsbergen in September, but left a wintering party of 5 under leadership of Ulrich Voigt. This hut was the wintering base. The winter was successful and went without major incidents. 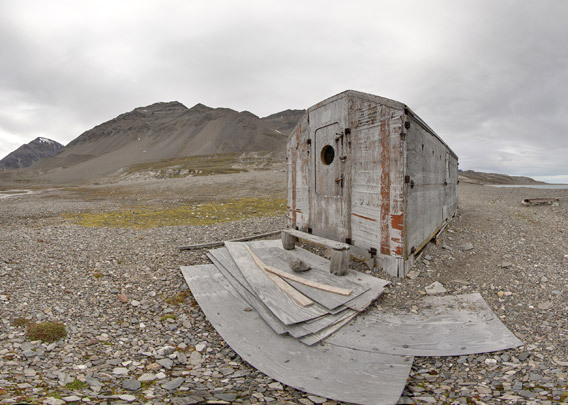 The hut is still known as Tyskehytte (German hut) and it is used by scientists and staff from Ny-Ålesund, a good 8 km away, for work and free time purposes.